Kemba’s case drew support from across the nation and the world. The support prompted then President Clinton to commute her 24.5 years sentence to time served – six and a half years – in December, 2000. Often labeled the “poster child” for reversing a disturbing trend in the rise of lengthy sentences for first-time, non-violent drug offenders, Kemba’s story has been featured on BET, CNN, Nightline, “Judge Hatchett,” Court TV, “The Early Morning Show; and a host of other television programs. 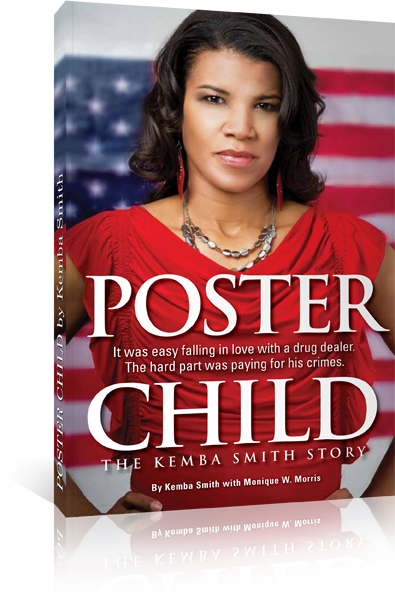 In addition, Kemba’s story has been featured in several publications such as Emerge, JET, Essence, Glamour, People magazines, The Washington Post and The New York Times. Click here for more information. Submit a talent request form to book Kemba Smith at your next event on human rights abuses against women, the criminal justice system, college life, the war on drugs and more.